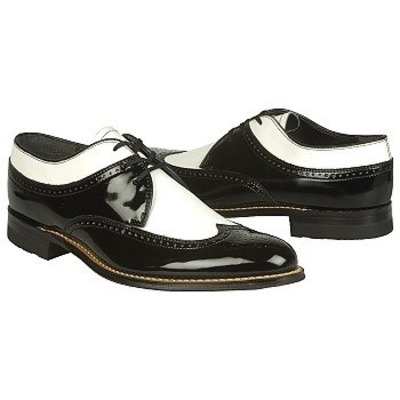 Create an epic fashion statement with the classic Stacy Adams Dayton wing tip oxfords. 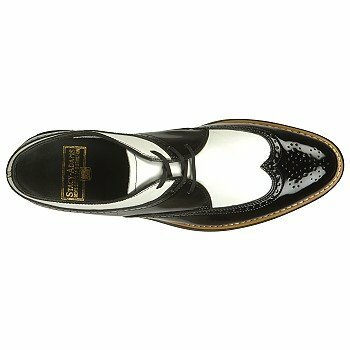 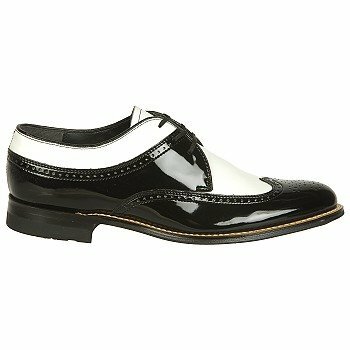 Smooth faux patent leather upper in a dress wing tip oxford style with a tapered, round toe featuring decorative perforation detail, contrasting leather or gator printed leather vamp and side overlays and iconic wing tip flourish. 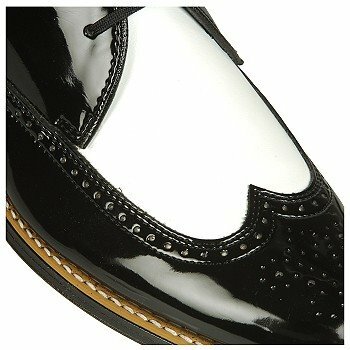 Three eyelet lace up front, flexible tongue and smooth faux leather lining. 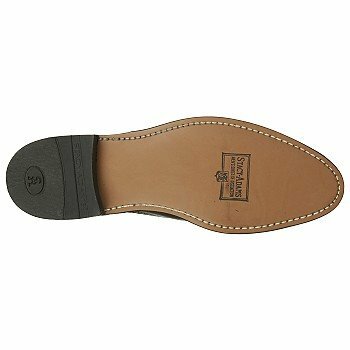 Cushioned insole, stitched topsole and dress style midsole. 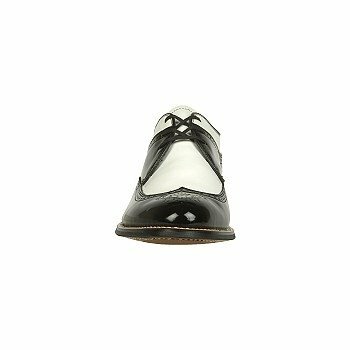 Smooth leather outsole, 1 inch dress heel.